• We only block/silence foreign accounts and instances for legal reasons. If you're not sure about the rules whether it's because you want to sign up or post something, please contact the admin. When you'll sign up, you'll be following a few accounts by default. The admin chose them to make your timeline more lively, but you are free to follow and unfollow anyone! You should keep following @admin to get the latest news on the instance. This instance is hosted on a VPS at Hetzner, in Germany. Hosted at Hetzner, in their DC3 Datacenter in Nuremberg, Germany. Daily backups of the database and files, on another server hosted at OVH, in Gravelines, France. I also backup the backups once in a while to a server in my home (France). Its disk is encrypted. I'm @angristan, the admin, a french tech enthusiast and Linux sysadmin at a French managed web hosting company. I'm a student in a French IT school at the same time. I run an english blog and a french blog if you're interested. I made an account dedicated to mstdn.io news: @admin. Thus you don't have to follow my personnal account to get the latest news on the instance. I'm the only admin here so feel free to toot me if you have any question or concern about the instance! I'm a weeb, I like free software, tech, gaming and stuff, but I think I'm open minded and I get along with everyone here. You can donate to help me maintain this instance in the long term. I invested a lot of time for this, dozens of hours of installing, tweaking, debugging, optimizing, monitoring, explaining, etc. I love it, it's my passion, but I do this on my free time, so any thanks for my work, financial or not, is really appreciated. If you can't help financially, don't worry! 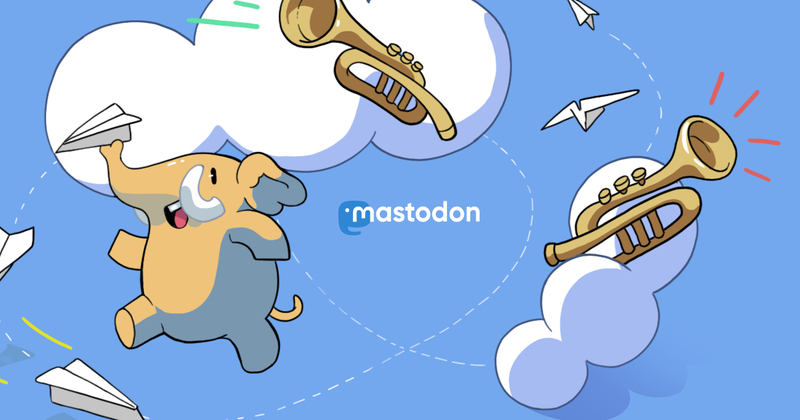 Just talk about Mastodon around you, help the new users, and toot every day! Thank you, and happy tooting!